Apparent nagalase activity in serum or plasma is measured kinetically at RED Laboratories through conversion of a fluorogenic substrate in function of time.The test is standardized against a large serum pool of carefully selected healthy persons (normal WBC count, no inflammation, CRP <1mg/L, no clinical history of immune disease of diabetes) the apparent nagalase activity measurement has allowed to establish a normal range of substrate conversion between 0,5 and 0,95 nMol/ml/min for adults. 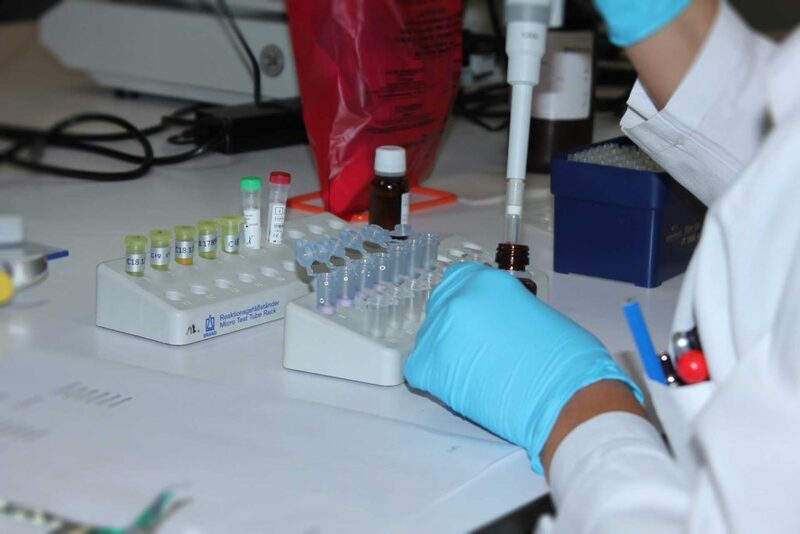 In line with this, the results for Nagalase testing done at RED Laboratories are reported as a group containing the values for (i) apparent nagalase activity, (ii) Gc-globulin concentration, (iii) corrected Nagalase activity (i.e. effective nagalase activity)in function of the major natural substrate competitor Gc-globulin and (iv) an alternative immunomodulation enzyme for which we have choose Dipeptidyl-peptidase or CD26 present on T and B lymphocytes and macrophages as well as in numerous other cell populations in the body. The normal range values have been established for children, adolescents and adults.